Here is a leaked benchmark test result on TPU forum of the AMD Radeon HD 6870 directx11 graphic card , the test include Crysis,3DMark vantage and Unigine Heaven Benchmark, the card doing well on every FPS compared Vs the HD 5870 and the GTX 480 from Nvidia . Unigine's Heaven tessellation has been and one of the biggest weaknesses of the HD 5000 series, possibly signifying weak tessellation performance for future games. On the other hand, it was GTX 400's strongest benchmark, with the GTX 480 proving to be an incredible 75% faster than the HD 5870 for the (unrealistic) Extreme preset. 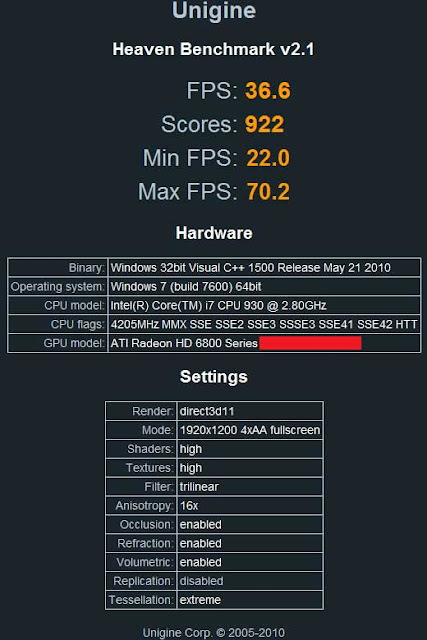 Typical scores for 1920x1200 4xAA Extreme are 900+ for the GTX 480 and 500+ for the HD 5870. 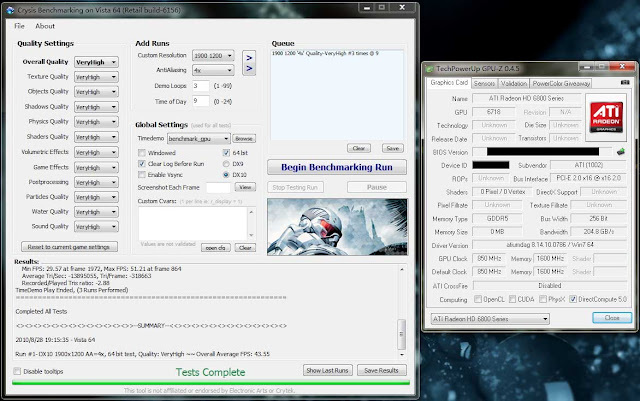 Amazingly, the HD 6870 scores a whopping 922, which is a massive increase over the HD 5870 and puts it on par with the GTX 480. 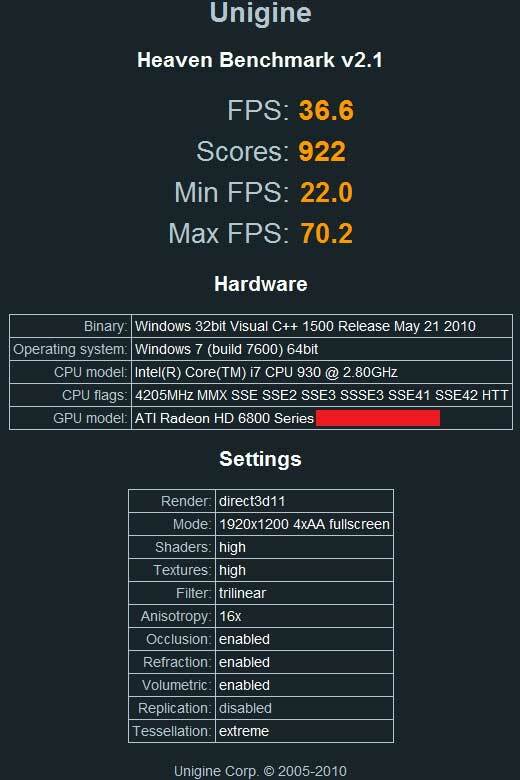 Do note, however, that the previous results were on Heaven 2.0, whereas the HD 6870 benchmarks use Heaven 2.1. The relevance of the Extreme tessellation benchmark has been heavily questioned as well. Still, it is clear that AMD have taken tessellation very seriously with the HD 6000 series. "